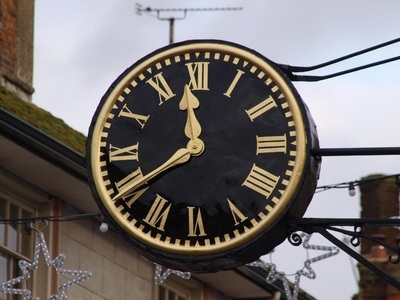 Cornmarket Clock - Faringdon Community Website. According to Rachel Bragg - occasional blogger and freelance photographer based in Devon ( see the interesting article http://www.sweet-images.co.uk/where-did-all-the-clocks ) the original clock is from the mid-18th century. This is a very interesting blogpost ( and spot the photo of another Faringdon clock in the same article!) but not correct. The original clock is mid-19th century. It was made by Counsell Clockmakers who were based in Faringdon - and still around making very fancy carriage clocks by hand well into the 20th century. It was of course mechanical; with a weights cabinet on the 1st floor. These weights needed pulling up daily. We now jump to the 1930s. 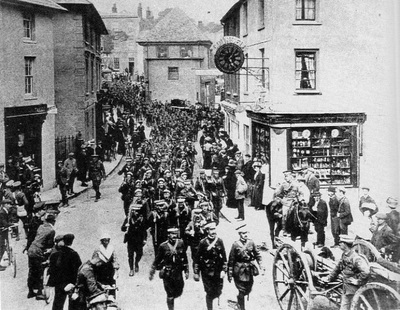 The shop was E. Leverton & Sons - selling radios and small electrical items. 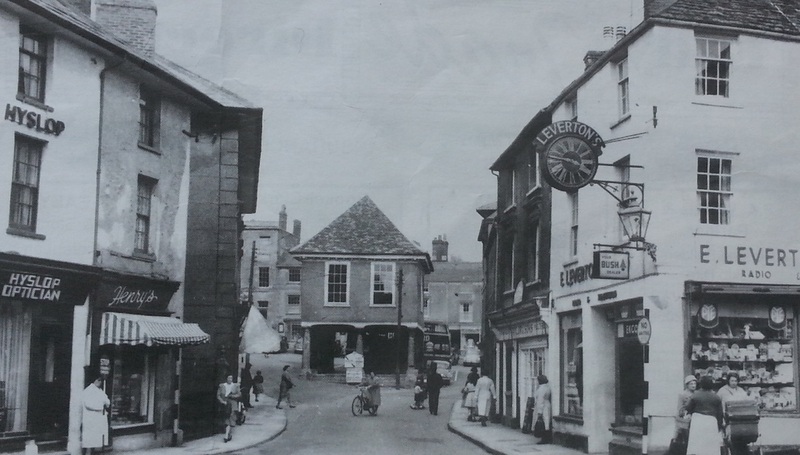 Rosalie Bleetman remembers when her father David Leverton ( the grandfather of the current owner - Danny Bleetman) had the family name of LEVERTON'S added to the top of the clock, and she thinks that he also had Counsell rebuild or replace he insides. This was before WWII. 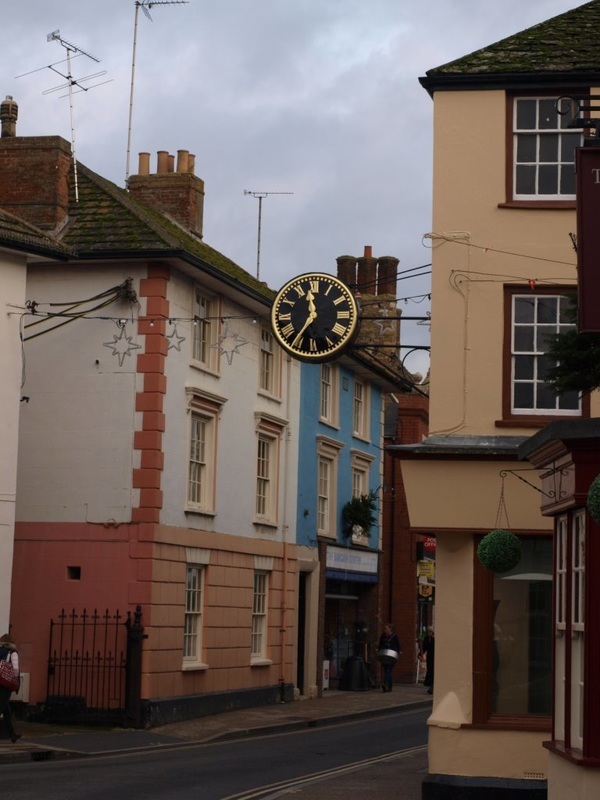 Before the bypass was built in 1978/79, the clock ( and the name sign) were continually being damaged by high vehicles as they tried to squeeze through the narrow Cornmarket. You can imagine that these knocks and bangs led to quite a high maintenance, not just external, but also on the mechanical guts of the clock, and on one of these occasions the Leverton's name was also knocked off, and wasn't put back. Hairline cracks would lead to water ingress. Not good. We can all remember the times when the clock stood still - waiting to be repaired - yet again. We now jump to just five years ago. Trevor & Donald were still pulling up the weights daily. But it was clear that the mechanical clock was on its last legs. The clockmaker (Peter Meacham from Milton-under-Wychwood) found that the insides were now not much more than a pile of rust, and beyond repair. It was at this point that it was converted to mains power - with wireless timing. Very appropriate perhaps, considering that Leverton's were in the 1930s selling cutting edge wireless radios. ​​So - for the past five years it's been a satellite-controlled electronic clock - but with an increasingly shabby face. This latest visit to Peter Meacham's has been purely cosmetic. A full spruce-up to go along with the repainting of the exterior of the building, including new gold leaf gilding - at a cost of well over £2000 . ​And doesn't it look absolutely splendid!